Which cereal was originally called Elijah's Manna and featured a picture of the Biblical Prophet Elijah on the box? 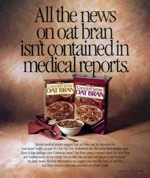 According to this 1988 magazine ad, "Recent medical studies suggest that oat bran can be important to your good health... But what these studies don't show is that Kellogg's new Common Sense Oat Bran cereal contains more oat bran than any leading ready-to-eat-cereal. Nor do they discuss just how great Common Sense Oat Bran tastes." 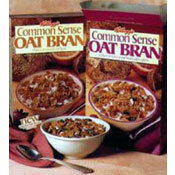 What do you think of Common Sense Oat Bran? View all 12 comments for this cereal. Best cereal ever. I haven't stopped talking about it for over 2 decade of not having it. I miss it SO much, really wish they would bring it back. Best cereal on the market by far. Why doesn't Kellogg's market this cereal as an oat variety of the Raisin Bran brand? I ate Common Sense Oat Bran almost every morning. Have not found any cereal that is even close. PLEASE BRING BACK! Just Right cereal was okay. Common Sense cereal was AWESOME. My whole family loved Common Sense oat bran! We can't find any cereal that comes even close in taste. Please bring it back! My favorite cereal of all-time. Nothing else even comes close. I truly enjoyed this cereal. Hope that it's back in our food stores soon!! This was the only packaged cereal I ever liked. Please bring it back. I used to have to order from the company because it was no longer available in the Seattle area. I would happily go to that trouble again. Please! Best cereal ever! I really wish Kellogg's would consider bringing Common Sense cereal back! There is no other cereal like Common Sense Oat Bran. 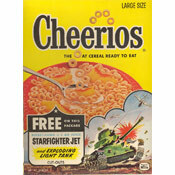 Why did they remove this cereal and when will they bring it back?